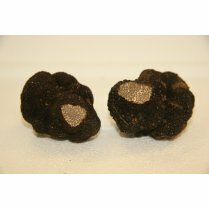 Black Summer Truffles have a delicate flavour and aroma. They are the mildest flavoured truffles of the year, with overtones of earthiness, chocolate, hazelnuts and vanilla. 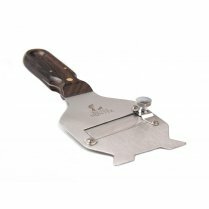 The season usually begins in April, when the flavour is mild, but it develops as the season progresses. 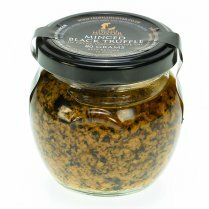 If you like an intense truffle experience, then use summer truffles in conjunction with some of our preserved truffle products to strengthen the flavour. Try some of our truffle butter, or truffle infused olive oil. Ideal! 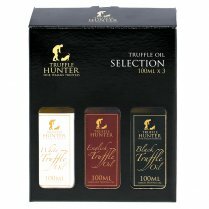 Please note that to ensure freshness, we like to receive our truffles fresh to order, so next day delivery may not be possible and it is likely to be next but one. 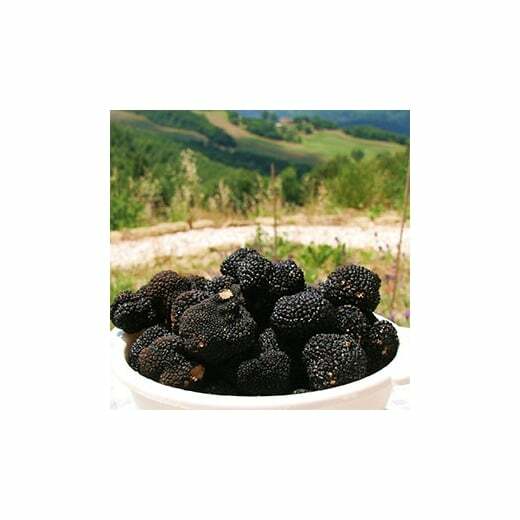 With a crop yield across Europe of 105 tons, this is the bulk deliverer among black truffles. As its summery name implies, it is grubbed up out of the earth during the hot part of the year, revealing a black surface masking a yellowish beige interior. It is Europe’s most widely distributed type of truffle, found mainly in Spain, France and Italy. 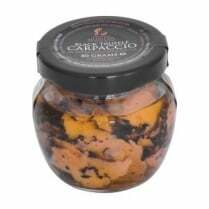 Caspian Caviar truffles are selected from the best Italian regions. To ensure freshness, we like to receive fresh to order, so next day delivery may not be possible and it is likely to be next but one.